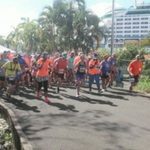 Passengers from the Norwegian Getaway cruise hit the ground running in George Town last week as part of their Run for Fun cruise tour. 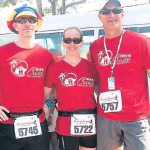 After the ship docked in Grand Cayman on Wednesday, 150 participants from across Canada and the U.S. embarked on a 3-mile race around Cayman’s roads. 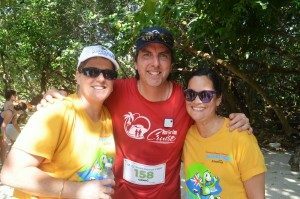 The race, hosted by the Cayman Islands Marathon race directors Rhonda Kelly and Laurie-Ann Holding, started off at the Cayman Islands National Museum on Harbour Drive, went along Walkers Road and finished at Smith Cove. “We really enjoyed having the Run For Fun cruisers with us today,” said Kelly. 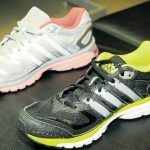 “Sports tourism is on the rise and something that the Cayman Islands is embracing. 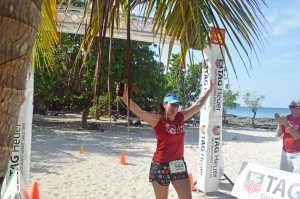 Runners love to travel, and Cayman is such a beautiful destination with a very flat running course pretty much anywhere on island. Once the race was over, several runners lounged at the beach. Hilda Hudson of Washington, D.C., who came in 52nd with a time of 31 minutes, 6 seconds, said, “The terrain and the heat has made it an adventure.” This was her first “run-cation,” she said. She ventured to go on the voyage with her friends Yvette Mozie-Ross and Leia Butler. Christina Casperson, the 22nd female runner to finish, came in 40th place overall. “I wanted a memorable way of celebrating my 50th birthday, and what better way to celebrate than to take a Caribbean cruise which incorporated running?” said Mozie-Ross, an academic administrator from Baltimore, Maryland. She placed 39th overall with a time of 29 minutes, 20 seconds. Butler, the 42nd female to finish, and 68th overall, dubbed the racing event as “something for everyone,” and highly recommends that others consider the package. The Run for Fun Cruise Tours made its first stop in Ocho Rios, Jamaica, before stopping in Cayman. The liner then set off to sea, with Costa Maya and Cozumel, Mexico, being the next race destinations for the run-cationers.